Deputy General Secretary of the ruling New Patriotic Party (NPP), lawyer Obiri Boahen, has advised Chairman of the National Democratic Congress (NDC), Samuel Ofosu Ampofo, to admit and apologise to Ghanaians over the contents of the leaked tape. The lawyer says the politician should apologise and ask for forgiveness and sin no more. 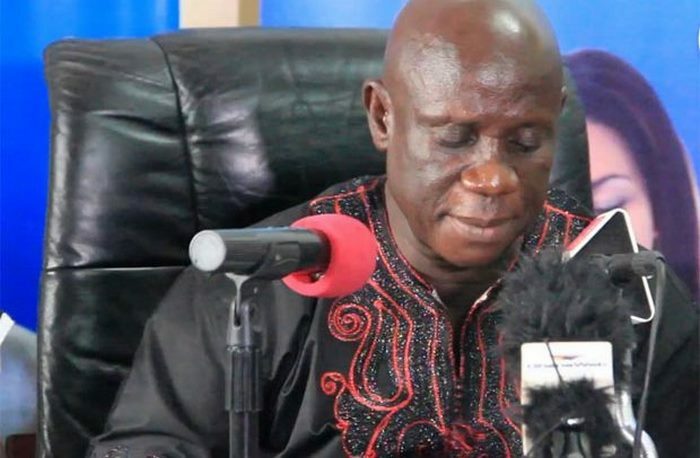 He sympathised with Mr Ampofo and said, the circumstances that saw Mr Ampofo made these comments, was at a meeting with his party supporters hence he should admit wrong doing and tell Ghanaians he never meant any thing bad by making the comments. In his view, the comments were distasteful, wrong and extremely bad adding, Mr Ampofo should be a man enough and apologise. He was however worried at the decision by some persons to record the meeting between Mr Ampofo and his party supporters. The practice he said is an invasion of the privacy of the individual but was quick to add that, if the recording contained criminal intent, then the person who recorded will not be liable to any offence. “Is it good to record your party executives at a meeting? It could happen to any ordinary person so we should not be rejoicing over this leaked tape. However, party leaders should also not instigate or incite party supporters against others. Party leaders must be careful and desist from such acts and be guarded in their utterances,” he said. To him, the fact we are in politics does not mean we should be saying things anyhow but focus on speaking the truth and be candid at all times.